Mind minutes in sleek, sporty style courtesy of these watches outfitted with silicone links. A polished alloy case enlivens your wrist with luminous shine. 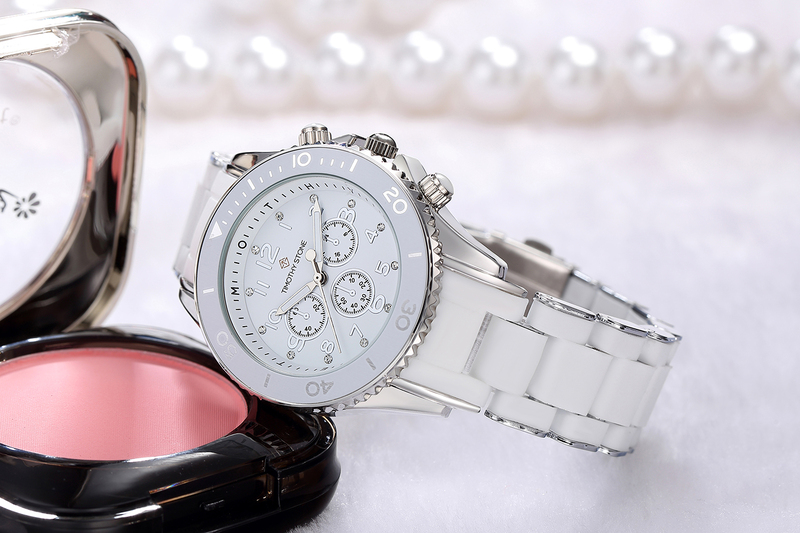 These polished alloy watches boast a glittering bezel and luminous link design to mark minutes with eye-catching style. A quartz movement grants punctual practicality. Outfitted with a sparkling crystal bezel and glossy ceramic finish, these sleek watches can add a captivating accent to your wrist. These polished alloy watches boast a glittering bezel and two-tone design to mark minutes with glamorous style. A quartz movement grants punctual practicality. The AMBER collection showcases circular details, including a rounded case, curved lug, and dotted index. Illuminating crystals adds a touch of shine.